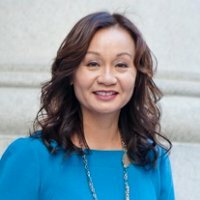 ABL Member: Marina Sarmiento Feehan, Esq. Occupation: Former attorney turned executive coach for attorneys. Think of me as the “Attorney Whisperer.” Founder and president of Positive Counsel. My ABL history: I learned of ABL from one of my former law students, Celine Mui Simon. When she was ABL president, she recruited me to give a presentation on social media and invited me to become a member. As part of the Corporate Asian Leadership Program series, next month I will be presenting on personal branding in the digital age. What have you gained from being involved with ABL: I like being exposed to professionals outside the practice of law. I like learning about how other people think and solve problems in other industries. ABL folks are so friendly and I enjoy meeting folks and making new friends and colleagues. Why should others join ABL? : It is a supportive helpful environment. It is a great way to build your leadership skills and networking skills which are key to getting ahead. I can see how getting involved and taking on a leadership role in ABL can also help build your brand and reputation which can help you build your business. *To become an ABL member visit Our Members.